Alexander Sinclair JP died at Bruan February 1940 aged 79. 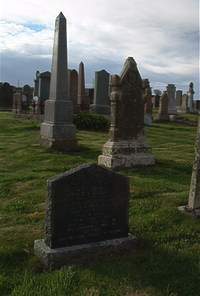 Wife Margaret Corner died October 1900 aged 38. Son Alexander died in infancy. Daughter Ann Sinclair died October 1973 aged 79. Son Stewart Sinclair died November 1968 interred at Winnipeg.